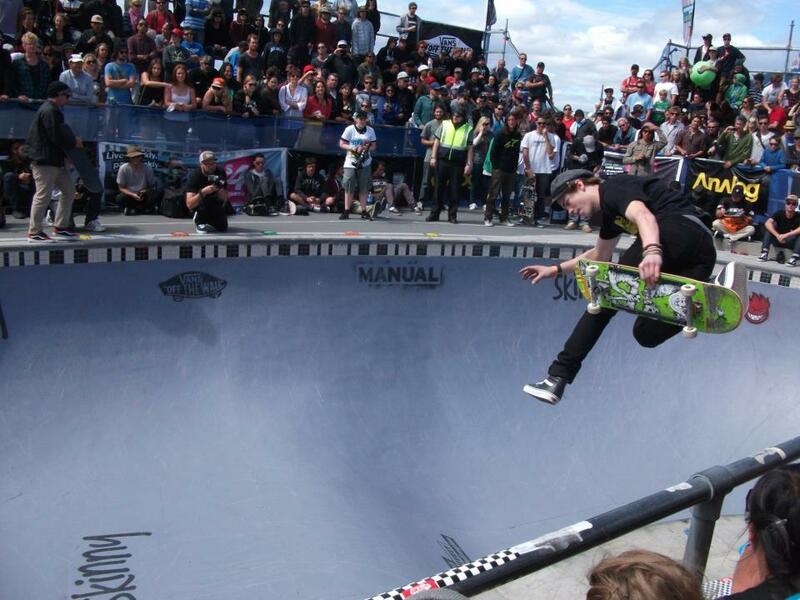 The contest down under in the land of New Zealand also know as Bowl A Rama is over. 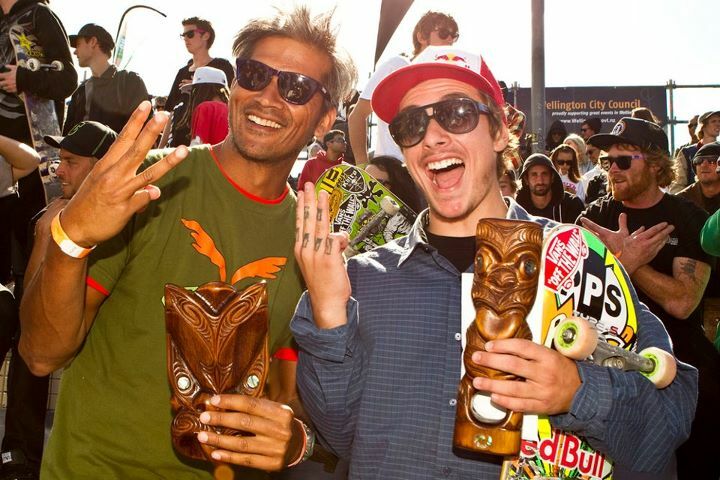 Pedro Barros easily landed at the 1st place of the Pros and Pat Ngoho was crowned first amoung the Masters. To get more information about the contest, Go to the WCS website. Watch the video of the contest on the left. Spectators at Waitangi Park today witnessed Pedro Barros (Pro’s) and Pat Ngoho (Master’s) take the title as winners of BOWL-A-RAMA™ Wellington for the third year in a row for both of them, in what event organisers are calling the biggest line up of talent to grace the park since the inception of the event in 2008.
sanctioned World Cup Skateboarding (WCS) event. “I’ve had to judge a few events in my time, this one was definitely one of the most difficult,” states Sasha Steinhorst Head Judge from WCS. “Not many people doubt that Pedro is the King of Concrete and he showed us why, he casually toyed with the pool and he rifled off the big level tricks that gave him his 3rd straight Wellington win.” He Comments. All those guys will now board a plane with only a couple of hours flight bound to Manly Beach in Sydney for the Beach Bowl party next Week End before going to Bondi Beach the following Week End.